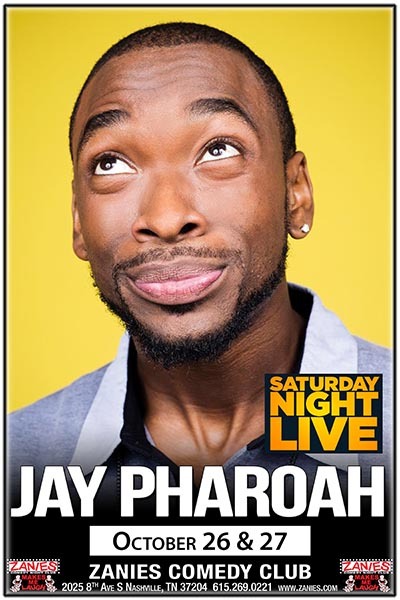 Jay Pharoah is an actor and stand-up comedian. The six-season SNL alum is well known for his stellar impressions of President Barack Obama, Jay Z, Denzel Washington, Kanye West, and many others. Pharoah also made a splash with his memorable character, Principal Daniel Frye, based on Pharoah's actual high school principal. Audiences got a taste of Jay’s dramatic side in Showtime’s WHITE FAMOUS and Steven Soderberg’s UNSANE, but he returns the funny in the upcoming 2 MINUTES OF FAME with Katt Williams. Previously, JAY dazzled with fun supporting roles in the Lionsgate/CBS Films comedy GET A JOB, opposite Miles Teller and Anna Kendrick, Chris Rock’s TOP FIVE, and Universal’s RIDE ALONG opposite Kevin Hart and Ice Cube. Jay’s voiced various roles on the animated series FAMILY GUY, BOJACK HORSEMAN, LEGENDS OF CHAMBERLAIN HEIGHTS, ROBOT CHICKEN, and the upcoming SUPERMANSION.